Château and Château Ferré available in Diamant, Prestige and Tradition. Jacky Allary has access to the most prestigious forests in France and this barrel represents the top 5% of the best oak available to us. Diamant is the highest quality, clear, extra tight grained oak hand selected by Jacky Allary. This barrel is a masterpiece created through a perfect combination of special lots purchased for highest quality available to the market, patient seasoning in our unique micro climate, savoir-faire, the art and the tradition of the Allary cooperage. Limited quantities. 100% from the forest of Tronçais. A noble barrel, rich, full with balanced round supporting oak tannin. A pure and beautiful expression of the highest level that can be achieved with Tronçais. Capturing the spirit of the Allary cooperage with tight-grained oak from Center of France, Allier or Vosges. 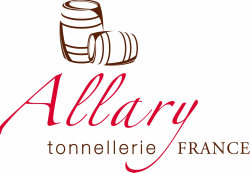 ALLARY Tradition offers subtle nuances, fine long structure and preserves the fresh aspect of your wine. For long-term aging you may have confidence in this barrel. Barrels are available with 24 or 36 month outdoor seasoning. A modern barrel for those looking for flash, yet still within the realm of the Allary Spirit for quality and excellence. A combination of our best tight grain oak from Centre France blended with well seasoned, medium grain oak from Vosges. Long toasting times, steam and expert oak selection achieve our goals for this innovative style. Tight grain Sessile Oak available from Centre France or Vosges. The Allary “Selection” integrates early, adds roundness, volume and fine compact tannin to your wines. Highly successful with white and red wines alike where elegance, volume and sweetness are important factors. The best value in France. Medium grain oak is selected from exclusive forests in the Center of France and Vosges. Our Evolution barrel offers impact, volume and weight. Perfect for shorter barrel aging programs where you want quick integration. This barrel is best with a Medium Long or Medium + toast with steam, rounding tannin with balanced medium grain structure. We offer a limited production of Tight Grain Northern American Oak barrels crafted at our cooperage in Archiac, France. This elite barrel shows incredible restraint and elegance, the ethos of Tonnellerie Allary. 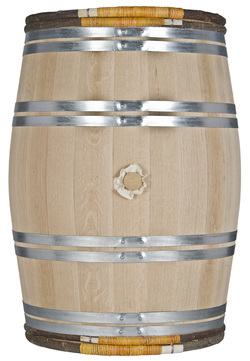 We believe this barrel is among the most elegant American Oak available to the US market. We season for 36 months in our unique micro climate and artfully craft using traditional methods. Limited ~ ACAIA and HUNGARIAN oak barrels available! This classic style used regularly for the great wines of Bordeaux frames the fruit, lifts the wine, has a layered mouth feel and a long finish. Preserves single vineyard character, freshness, red, blue fruits, while contributing restrained elegant oak and toasted nuance. The oak used to fuel our toasting stations, are exclusively sourced from the same oak staves used for our barrels. A beautiful rich toast that highlights dark fruit. Using steam during the final toasting stages allows the pours of the oak to open, caramelize, contributing dark chocolate notes and round tannin. We lower the temperature and toast for a longer period. This toast lends softer tannin to your wines. The oak used to fuel our toasting stations are exclusively sourced from the same oak staves used for our barrels.